The online poker room UltimatePoker.com, has come up with a new type of Hold’em in order to entice more players to join. Right now, only an average of 75 cash players are online in Nevada over the last 7 days, while only 16 are online in New Jersey. Two Street Hold’em uses the same amount of cards as regular Texas Hold’em, only instead of betting four times, you’re only betting twice. You still get two hole cards. You will bet up to the big blind, then the dealer will reveal all 5 community cards at once. There will then be one more round of betting before revealing your cards and determining a winner. 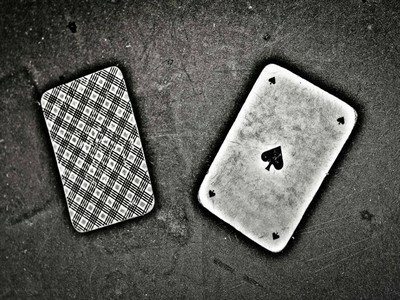 Two Street Hold’em was dreamt up by Chris Danek, Ultimate Poker’s Product Manager. On Ultimate Poker’s blog, “The Rail,” on Thursday, Danek wrote that he wanted a Hold’em game that didn’t have all that boring folding. What I like is action. That’s what I want to bring. Straddles and blind raises, calls when you might have the worst of it, the deuce-seven game. Bring your drink and your best gamblin’ shirt, because this is no place for nits. We’re going to try an experiment over here at Ultimate Poker and toss up the rules a bit. I want to design a game that gives people the same joy and fun that Hold’em has without all the needless folding. Because who wants to watch the other guy in the tank for five minutes? This new game is still in it’s test phase. Monday was a trial run that will now be reviewed and tweaked before it is tested live again on February 14th. This seems like a cool way to play holdem. Easy for beginners.